Designed to produce powerful telephoto images, the smc PENTAX-D★ 300mm F4 ED[IF] SDM is a uni-focal super-telephoto lens with a focal length equivalent to 460mm in the 35mm format. It minimizes chromatic aberrations by incorporating ED (Extra-low Dispersion) optical elements in its second and fifth lens. It also offers a minimum focusing distance of 1.4 m (4.6ft). Featuring advanced technologies, such as special optical glass elements and PENTAX-original lens coatings, it is designed to assure exceptional optical performance and deliver clear, high-contrast images, even at image-field edges. The smc PENTAX FA 77mm f/1.8 Limited is specifically designed for portrait photography and accurately reproduces the tones, colors and texture of the subject's skin, clothes and accessories. 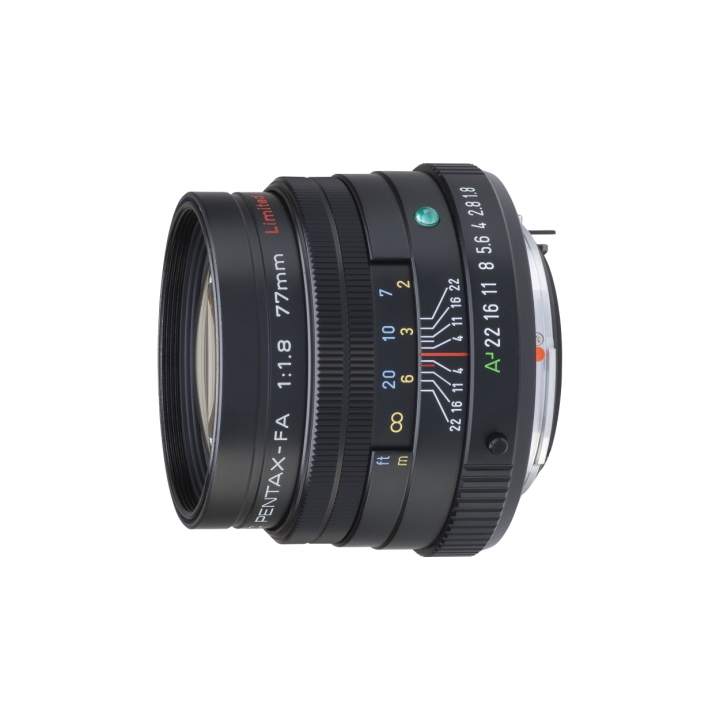 Its fast f/1.8 aperture assures full depth of field control in any lighting situation. The medium-telephoto perspective makes this lens ideal for many applications including portrait, landscape and still life photography. The high-grade aluminum construction of the lens barrel, hood and cap provides this lens with the utmost durability and elegant design. A fast f/1.8 aperture offers outstanding depth of field control in any lighting condition. High-performance optics ensure outstanding image quality, edge-to-edge sharpness, and depth of field control. 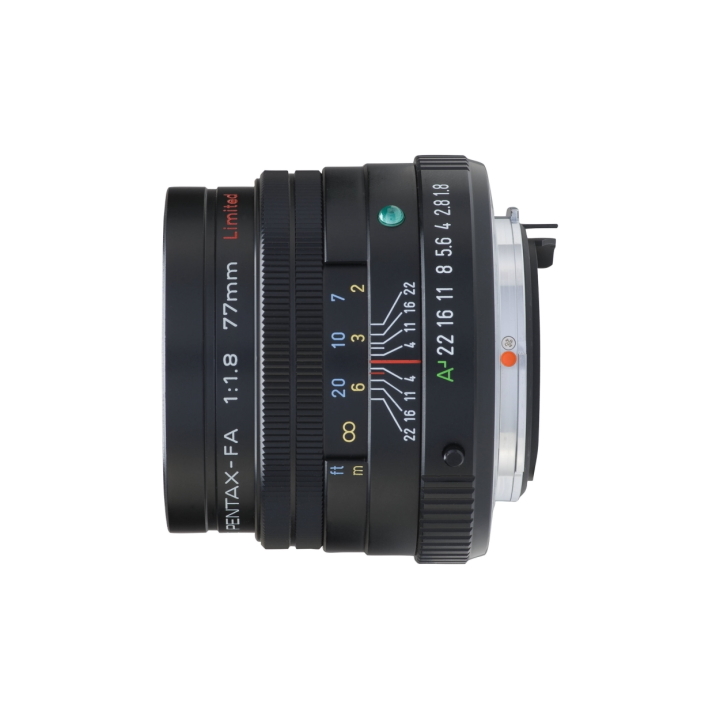 PENTAX's exclusive FREE (Fixed Rear Element Extension) focusing system ensures sharp, crisp image reproduction over the entire focusing range.